What is refraction and how does it produces the colours and shape of a rainbow? Rainbows are beautiful tricks of the light. 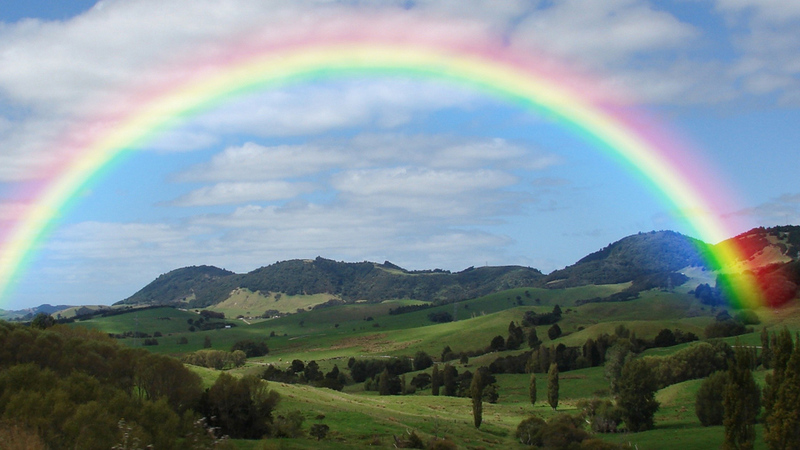 Rainbows are caused when light is reflected and refracted by water. Water can be in the form of rain, mist, spray or dew. The light bends and is split according to its different wavelengths to produce a spectrum. Everyone knows the colours of the rainbow. But how is this beautiful light trick formed? There are two conditions necessary to see a rainbow. The Sun needs to be shining at a low angle. And it needs to be reflected by water, either from rain, mist, spray or dew.